OPPORTUNITY TO OWN ONE OF THE MOST DRAMATIC HOMES IN CHICAGO! A TRUE HIDDEN GEM! Maintain original integrity of this stately home or transform into your dream space, either way its PRICED TO SELL! North East Corner home with jaw dropping skyline and FOREVER LAKE VIEWS! Incredible DOUBLE HEIGHT ceilings in the living room and family room! Open floorplan with great flow and entertainment space. Tons of natural lighting pour in from the oversized windows throughout the home. Master suite overlooking Lake and Navy Pier with incredible closet space! 3rd bedroom currently opened and being used as Office/ Den. All of this in one of the top buildings in Chicago -Olympia Centre. 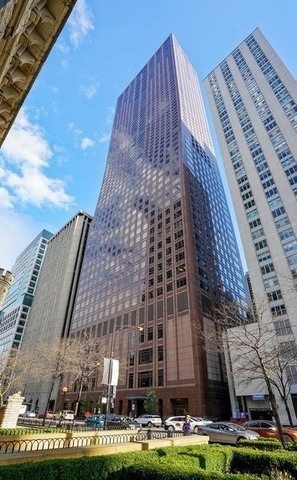 Full-service building with on-site engineer, concierge and doormen. State of the art cardio room & separate weight room, indoor pool and roof deck. 24-hour notice required. Property information last modified by seller on Friday, December 14, 2018, 02:17 PM CST. Information Deemed Reliable But Not Guaranteed. Unauthorized duplication, use, or linkage is prohibited. The information on this web site is for personal, non-commercial use and may not be used for any purpose other than to identify prospective properties consumers may be interested in purchasing. Monthly Payment Calculator results are for illustrative purposes only, not a financing opportunity; calculations assume a 30-year fixed-rate mortgage and do not include closing and other costs. Property Tax on NEW properties is estimated at 1.5% of Listing Price for payment calculation purposes; actual value may be higher or lower.